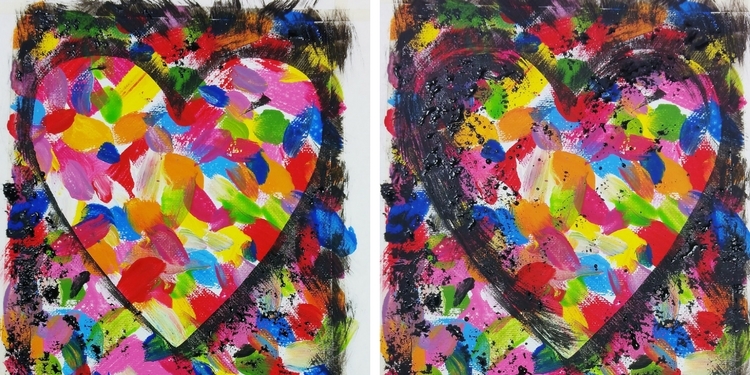 For this Valentine’s Day, why not explore your inner Pop Artist with a Jim Dine inspired painted heart. 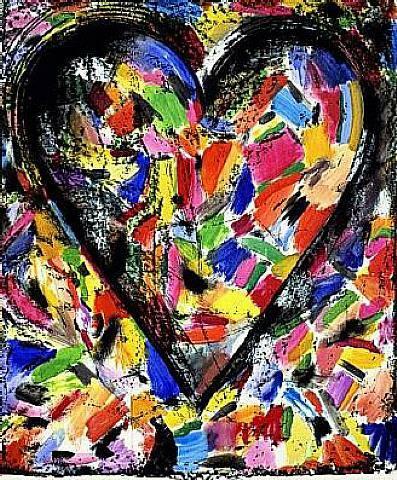 Jim Dine is an American Pop Artist who was born in Cincinnati Ohio in 1935. He is currently 81 years old. 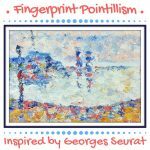 He is known for his paintings, drawings, sculptures and printmaking. His artwork was included in an art exhibition in 1962 that was considered one of the first “Pop Art” exhibitions in America. 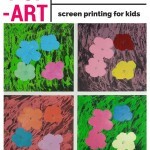 Included in this exhibition were other Pop Artists, such as Andy Warhol. 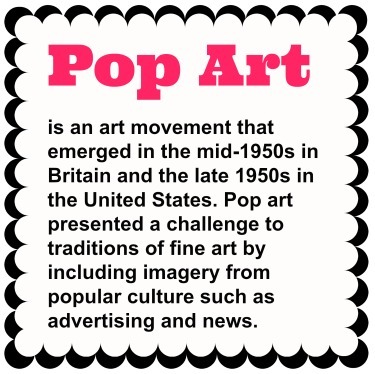 The Pop Art movement shocked America and the art world and helped shape the nature of modern art. 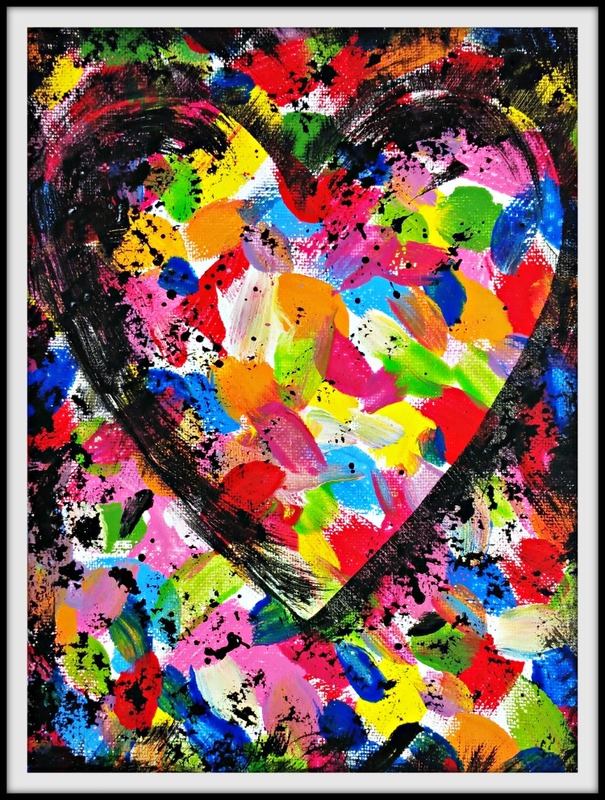 One of my favorite pieces of his artwork is Confetti Heart. 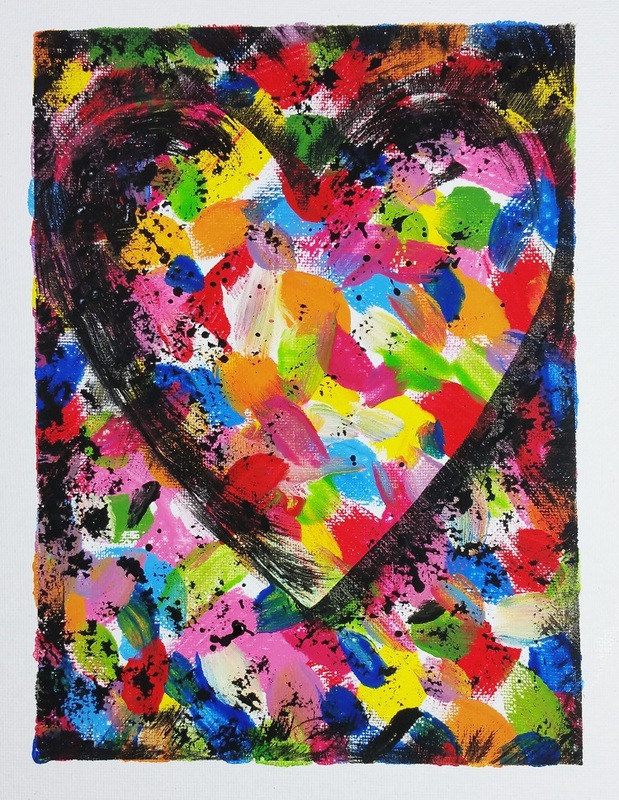 Jim Dine, Confetti Heart (1985). Via WikiArt.org. 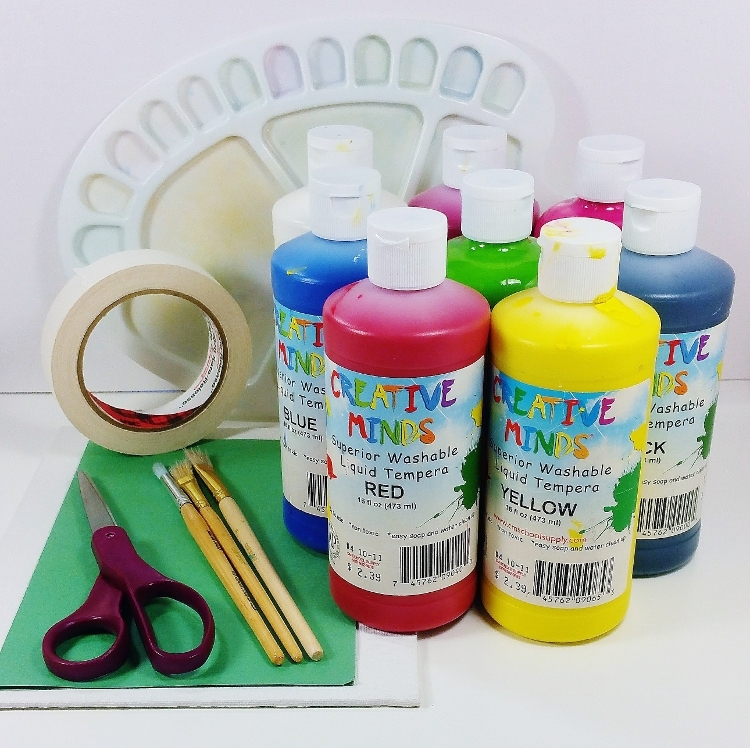 Tempera paint (or acrylic paint) – basic colors including black. 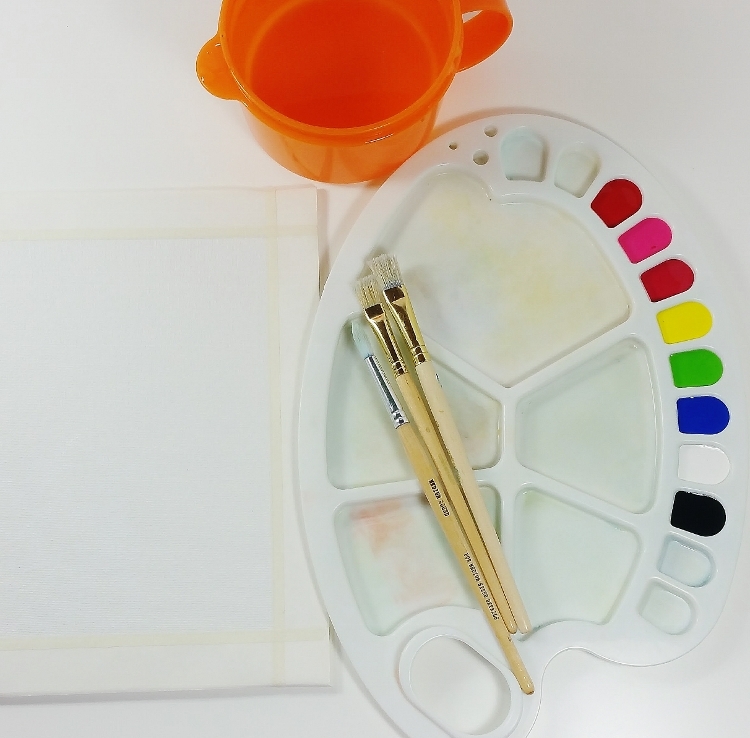 The first step is to create a small frame by lining the outer edges of your canvas with masking tape. Next, it’s time to create your painted background. 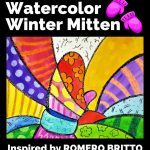 Squeeze out a small variety of colors and fill your rectangular background shape with random brushstrokes of color. Make sure to wash your brush between colors to keep your colors bright and clean. Once your entire background is covered with paint, allow it to dry completely. Now it’s time to create your heart stencil. 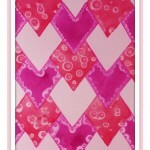 Fold your piece of construction paper in half and cut out a heart shape that will fit within your background. Apply a few pieces of tape to the back of your heart to hold it in place and place your heart in the center of your painting. Next, apply black paint around the entire edge of the heart stencil. Once you’ve gone around the entire heart, continue adding black paint along the edges of the background as well. As you apply the black paint, make sure to first remove the excess paint from the brush by scraping the brush along the edge of the palette to allow a thin application of black paint. Next, dip your brush in the black paint and tap your brush in random patterns on the background to add black painted texture. 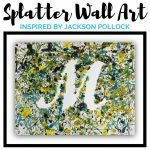 Allow your painting to dry completely. 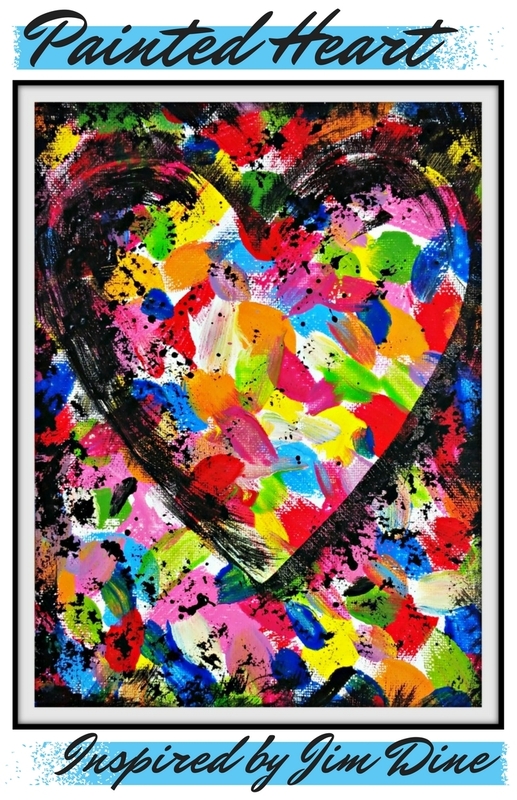 Once your painting is dry, gently remove your heart stencil to reveal a nice clean heart shape. 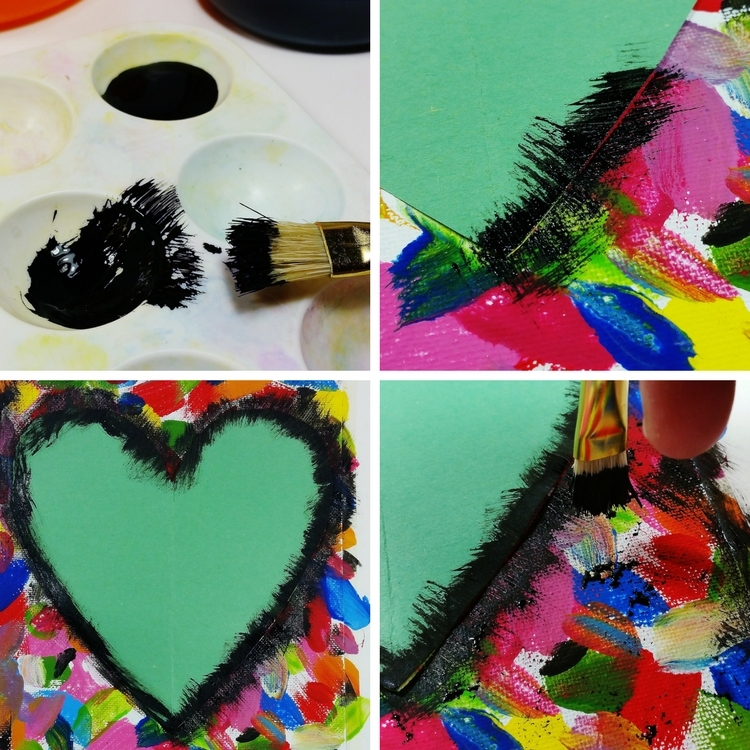 Next, using the same techniques as earlier, apply black paint along the left side of the heart and also apply black paint splatters by tapping your brush on the inside of the heart as well. Allow your painting to dry and for the final step, remove the masking tape along the edges of the background to reveal a nice white frame. 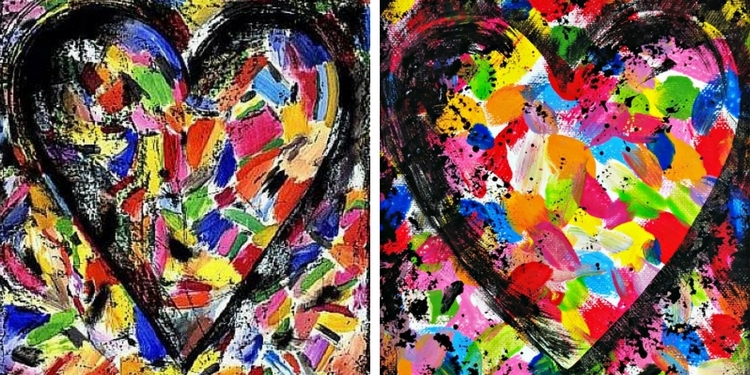 Here’s our painted heart side-by-side with Jim Dine’s Confetti Heart. 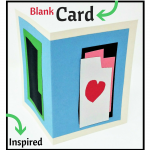 Have fun creating your very own Pop Heart! Crystal Foth manages 19 Southern California fine art studios for Mission: Renaissance Fine Art Classes. She spends her free time creating art, planning fun art projects and enjoying creative adventures with her family around Los Angeles.